Building strong teams takes more than flipcharts and pizza. Rowing takes teambuilding to new levels – it is a ‘hard’ skill based on coordination, harmony and equilibrium. It is also an inclusive sport, suitable for men and women of all ages and physical strength; finding the balance between team members of different aptitudes is the secret of success – which translates readily into business excellence. This BPCC HR policy group event, aimed at HR directors, business partners and C-level directors with an interest in team building, looks at how to improve engagement and teamwork, and enhance health – thus decreasing staff attrition rates. 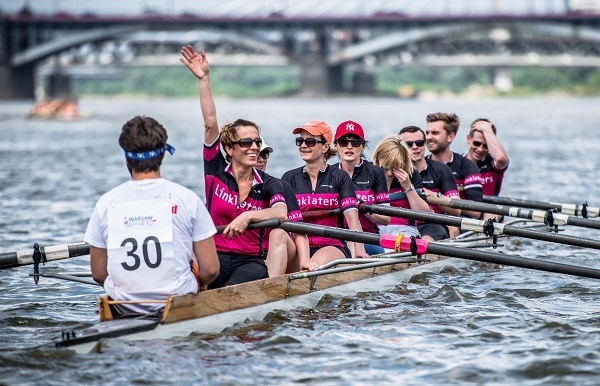 There will be a chance to try out rowing on the Vistula under the tutelage of experienced rowers. If you wish to go on the water, please bring suitable clothes (eg tracksuit) – basic changing facilities on site. Places (including the rowing experience) are limited; and are offered on a first-come, first-served basis. On the 3rd of February 2017 a seminar ,,Legal and tax aspects of delegation of employees” was held in Wrocław’s Hilton hotel. The meeting was based on the expertise of professionals representing the law firm Wierzbowski Eversheds, and under the patronage of the British Polish Chamber of Commerce. “An employee’s time is expensive, so when planning business travel, it’s best to use the services of a travel management company (TMC)," said Elżbieta Zysnarska, from FCm Travel Express during the last meeting of the HR policy group. The BPCC’s HR policy group is exceedingly busy this quarter. The day after the group met to discuss pay and productivity, it met again on 6 October to look at aspects of the Polish market for executives.